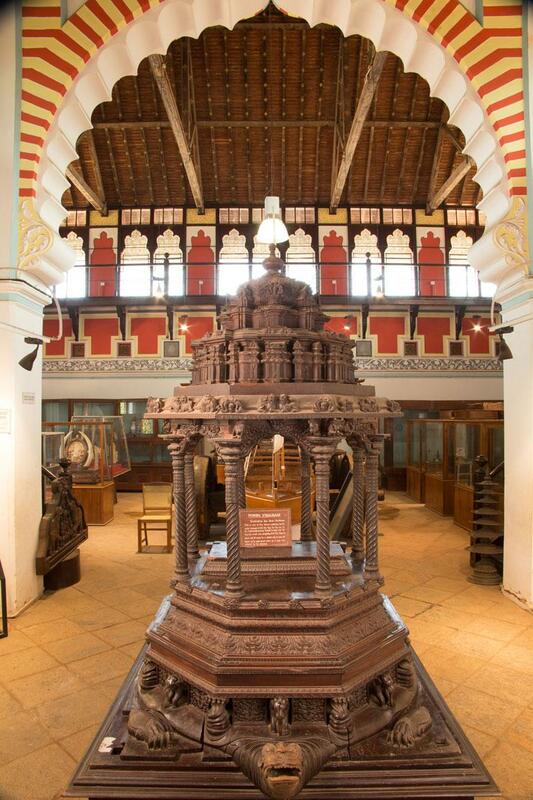 This is one of the three vehicles built under the command of Swathi Thirunal Maharaja for the Padmanabhaswamy Temple in 1847 CE. But before the completion of the work the King passed away and thus it came to standstill. The vehicle was not taken up by the subsequent rulers as it was considered to be ominous. Pushpa Vimanam is a chariot. The base of the vehicle is a beautifully carved tortoise. Excellent carvings of fish, snakes, elephants and vyalies can be seen. A seated image of Lord Brahma, surrounded by ‘Ashtadikpalakas’ are carved on it. It is an amazing wooden work and is the finest example of 18th century wood carving.